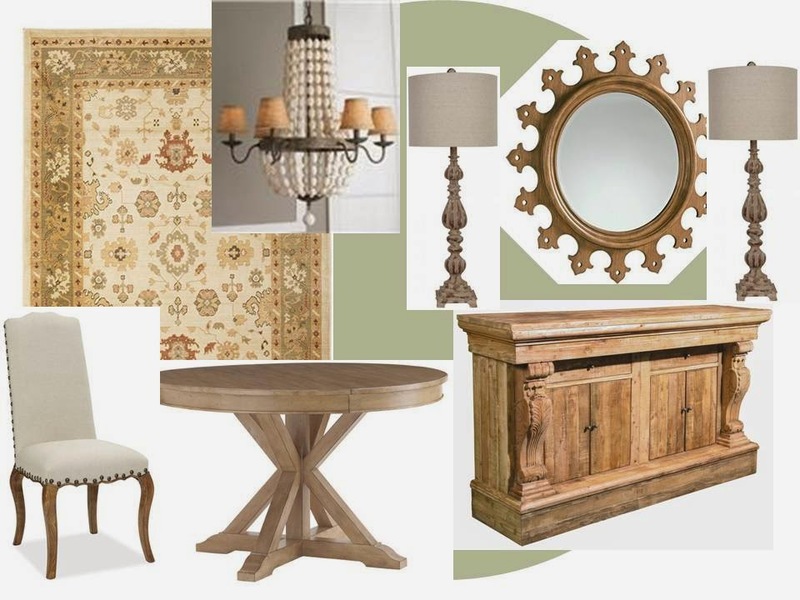 I started out creating today's post with the idea of making a design board for a French Country dining room. As I was looking for furnishings, I found this dining table and just loved it. So, as often can happen in reality, my design was taken in a new direction organically. I just followed the direction of a piece that I truly loved. I ended up with a room design that is an eclectic mix of French, Traditional and Transitional styles, all with a rustic touch.